Go birding in Komodo National Park and Mbeliling Forest. Stop at Pink Beach for swimming and snorkeling. Visit Sano Nggoang Crater lake. 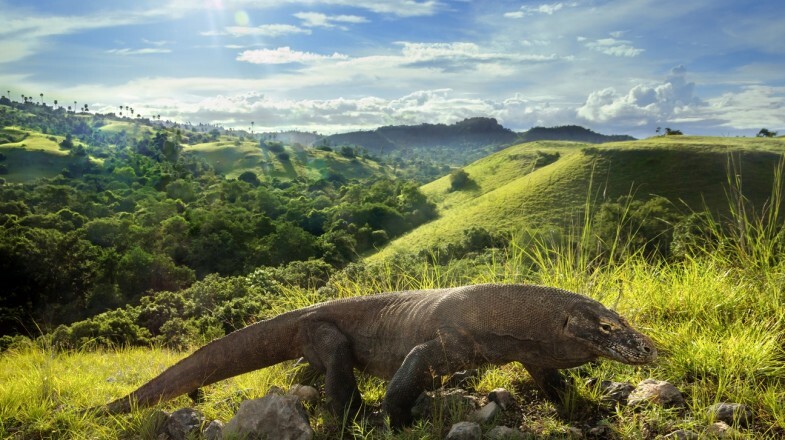 Watching the Komodo Dragons in their natural habitat is often the number one reason to visit Komodo Island. Holidays in Flores Islands is the ideal place to start your Indonesian tropical adventures. Mesmerizing beaches, translucent lakes, mysterious mangroves and adventurous caves all await you at Bali’s lesser known sibling. Between the rich offer of outdoor activities and all the heavenly spots for kicking back and soaking up the sun, a trip to Flores Islands will be a delight for every stripe of tourist. Kelimutu National Park is one of the most stunning natural feats on Flores. It is home to three mirror-like crater lakes and an awe-inspiring volcano. Kelimutu is also a prime spot for watching sunrises and sunsets. Komodo Island is one of Flores’ must-sees, in large part thanks to its most famous resident: the Komodo dragon. Other than these fascinating creatures, the Komodo island also boasts wild, unspoiled nature and luscious beaches. Nestled between Komodo and Rinca islands, you will find the Padar Island. This tropical gem showcases Indonesia’s breath-taking natural canvas in its full splendor, including rugged peaks framed beautifully with several sandy beaches. The tiny Kanawa Island is located just north-east of Labuanbajo. It is one of the most sought-after sports for snorkeling and discovering the area’s colorful aquatic life. If you are a hiking enthusiast, then you’ll be pleased to hear that Flores is one of Indonesia’s prime trekking spots. Due to is large number of mountains and volcanoes, the island offers a plethora of fascinating trails. If you want to learn more about Flores’ indigenous cultures, look into booking a village tours that will let you get a glimpse of the traditional way of live in Flores Islands’ native communities. The main transport hub for air travel is Frans Xavier Seda Airport, which operates daily flights from Lombok, Bali and Labuanbajo. Flores is also connected to other parts of Indonesia via sea routes, including Sape in Sumbawa, as well as the islands of Adonara and Lembata.